Nintendo Download: August 28-September 3, 2014. September 4, 2014 – This week's downloads include Tappingo 2, a demo for the upcoming Theatrhythm Final Fantasy Curtain Call, and more! Check out all of this week's updates on your favorite digital storefront today at noon eastern. Nintendo Download: January 2-8, 2014. Nintendo Download: May 20-26, 2015. Nintendo Download for November 10, 2011. 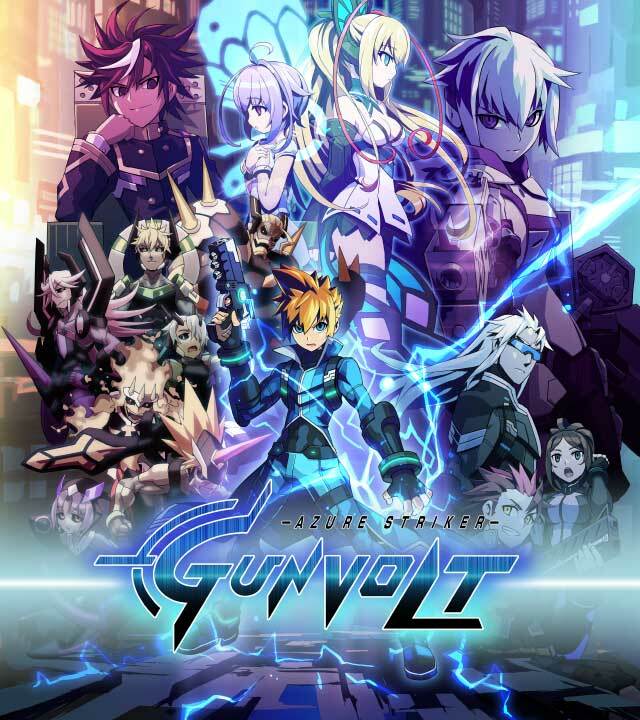 It's worth noting that Gunvolt only comes out tomorrow for some reason. May also check out Blacklist when it hits $20. I'm curious what Capcom titles are on sale...if it's Virtual Console stuff that I don't yet own, I'll be really tempted. I have most of their other offerings on Wii U.
I might have to get x3 at some point. It's far and away my least favorite MMX game on the SNES but I don't know if I ever beat it. It can be a pretty brutal game at the end from what I remember. I haven't played it aside from a few minutes on the X Collection...but this is why I love Virtual Console games. Having trouble? Use save states if you want to beat it. I try not to abuse them, but once Adventure Island comes out on Wii U VC, I'm finally putting that one to rest. If you haven't yet, buy Steamworld Dig. @Guillaume Yeah I wasn't expecting that. The wait will be INTOLERABLE. I wanna get Phoenix Wright/Layton but on cart form. It's on my Amazon Wishlist awaiting purchase some day. Don't forget that those that purchase Azure Striker Gunvolt within the first month or so, you also get Mighty Gunvolt as an added bonus! Unless the promotion is different in NA than it is in Japan, you have three months to buy the game in order to get the bonus. Street Fighter 2010 is coming to the Wii U VC next Monday for some reason. It's not a very good game, but I'm feeling nostalgic for it, so I'll bite. The list of Capcom games on sale (and their prices). Thanks for posting the list. There's nothing I want to spend money on right now...and that's probably a good thing. Have Layton Wright preordered at Best Buy. Loving my Gamer's Club Unlocked more every day. Man I really need to get a working 3DS again. I know what I'm playing tonight though... X3! Yessss finally! It's felt like forever, but it's here at last! Donkey Kong Jr. Math! The fact that somebody at Nintendo made the decision to pay someone else to port DK Jr. Math is so silly I can't even get upset about it. Someone at Nintendo looked at Donkey Kong Jr. Math, said, "I think that will make money. This is what people want to play," and then hired someone to devote their time to porting that game. Azure Striker Gunvolt looks cool. I may pick that up.